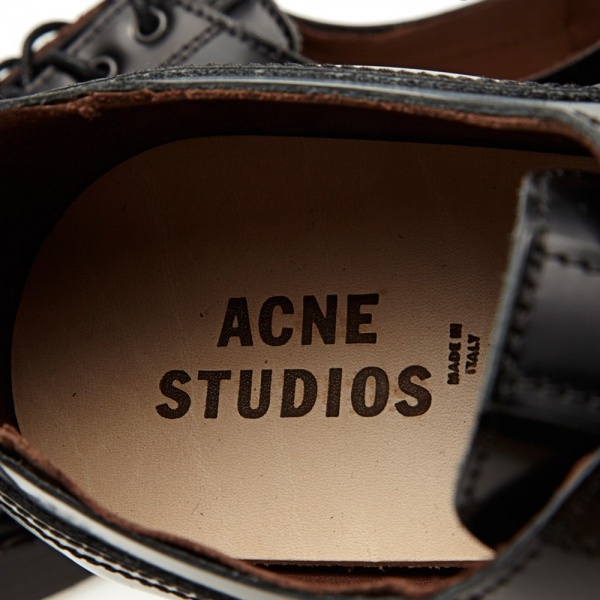 This luxe take on a classic derby shoe from Acne is typical of their iconic minimalist approach to design. 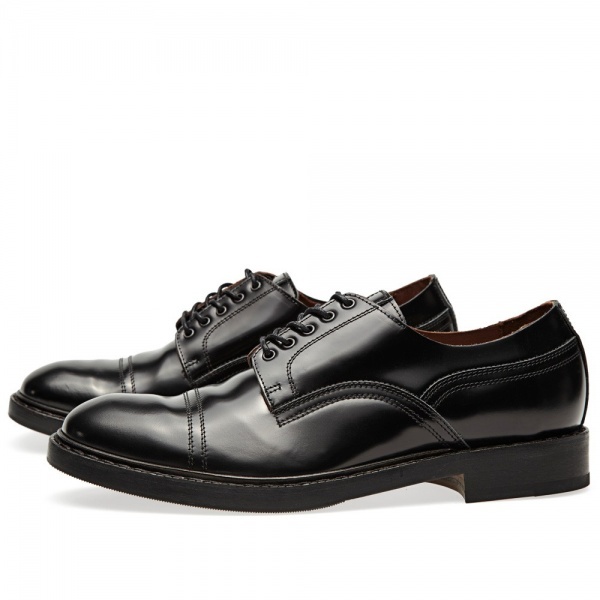 Handmade in Italy from premium leather, the Askin Cap Toe Derby Shoe features brushed italian leather polished to a nearly gloss shine, double stitching, leather sole and tonal lace up front. 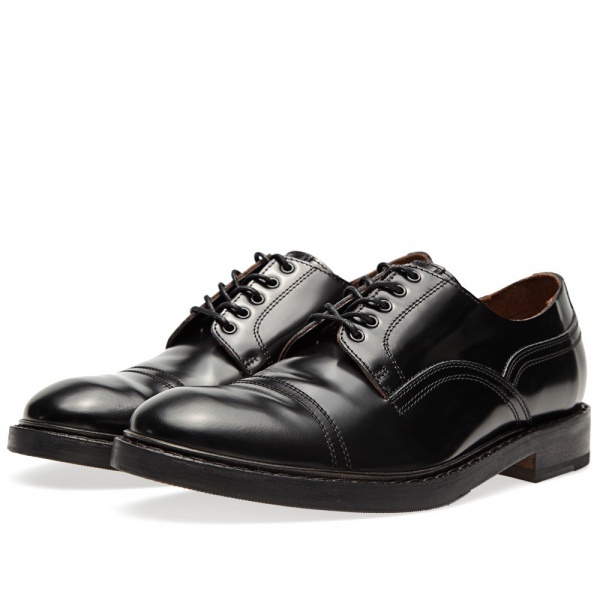 With a full calf-skin lining and flat waxed laces, this is a beautiful shoe that makes a statement with any outfit, without distracting from any other single element. 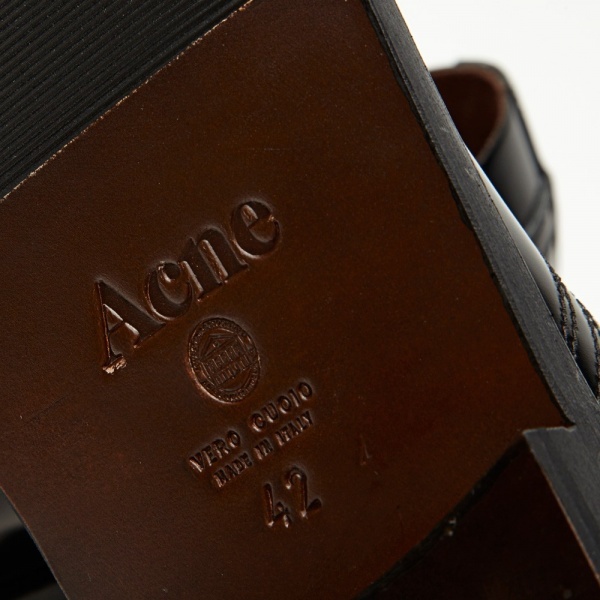 This entry was posted in Footwear and tagged Acne, Askin, Askin Cap Toe Derby Shoe, Calf Leather, Cap Toe, Derby, Handmade, Italian, Italy, Leather, Shoe. Bookmark the permalink.